"Willie Jay and Star Zee will be there to enforce the message that there is strength in unity. Lady Felicia and Vicky Fornah will be amongst those sending supportive shout-outs from America whilst Suga Lulu will send in her voice clip from London," the statement said. Traditional female leaders are expected to reiterate their stance against child female genital cutting, child marriage, other various forms of abuse, as well as their support for human rights. "The Social Welfare Ministry is proud to be in partnership with traditional women to solidify the work towards a progressive Sierra Leone where women enjoy their rights and children enjoy the fullest protection," the release said. The IWD event on March 8 will be chaired by 50-50 President, Dr. Fatu Taqi. 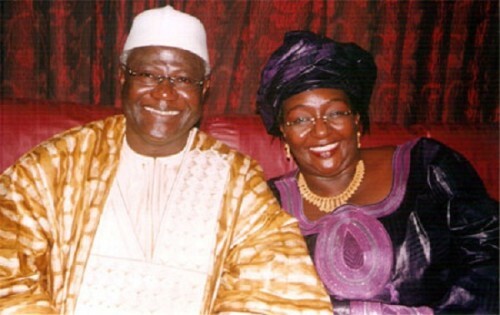 Keynote Speaker is President Dr. Ernest Bai Koroma, who will be accompanied by first lady Sia Nyama Koroma (pictured in archive photo above). Chair of the IWD Steering Sub-Committee on Media, Research & Documentation.